The easiest and simplest way to acquire V-bucks in Fortnite is to login to the game everyday. You will get a daily reward for every day that you login to the game. You will get a chance to turn your daily reward into V-bucks. In addition to your daily reward, you can acquire rewards like Survivors, Heroes, Schematics, and also V-bucks by completing daily and weekly quests. Per day, at least one of the quests that you complete will bring you V-bucks. Quests can be found in both versions of the game so make sure to complete them when playing Save the World and Battle Royale. You can earn vBucks by adding your Heroes, Survivors, Schematics, and even Weapons and other things to the Collection Book. Keep in mind that doing this will permanently use up your Heroes and other collectibles. When you add your Heroes and other things to the Collection Book, you gain experience for your Collection Book. Collecting enough experience will level you up and you will earn a reward. You can level up your Battle Pass in Battle Royale and use it for each season that Battle Royale mode has. Reaching your goals will get you things like characters, emotes, and V-bucks. Participating in Events can provide tons of items, including V-Bucks. Events happen weekly and they include several different quests which will get you V-Bucks. All packages, except the $9.99 packages, will get you free V-Bucks when you buy it. The $24.99 package doesn’t give back too much vBucks. I’d buy the bigger packages to get back a bigger amount of vBucks. 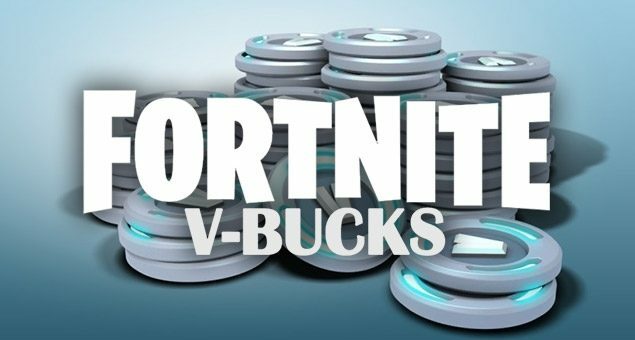 The $59.99 package will give you an additional $15 worth of V-Bucks. The $99.99 Package will give you an additional $35 worth of V-bucks. 2. Click “Start Earning” and do the challenges! 3. Buy a gift card once you reach the required amount of points. Getting there only takes a couple of hours. 4. Redeem your gift card in the PlayStation Store, Xbox Store or Apple Store and buy your V-Bucks! You can crack Fortnite accounts using this software https://meDf5vys4FggM96ZJqcrGIFAga.nz/#F!e3AzQR7K! Some of the accounts may have VBucks or skins on it and you can grab it from their account. I don’t recommend this either. Cracking is breaking into someone else’s account. This is against Fortnite’s TOS and also illegal. Share your methods on getting vBucks in the comments below. Good luck collecting Fortnite vBucks!